Control and level adjustment are made directly from a practical color touch-screen terminal installed near the machine pulpit. Displaying messages on any anomalies with detailed description of the problem. 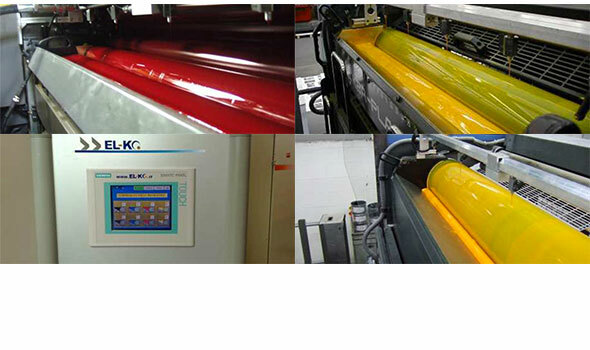 Due to the sensitivity and the precision of the ultrasonic sensors it is possible to work with low ink levels in the ink, always ensuring the same level set by the operator (from 10% to 90% of the capacity of the inkwell) .In addition in the case of cleaning or REPLACING color between print elements, the response time and wasted ink will be greatly reduced.